Bobbi and Scott tied the knot! I was in attendance at the post-ceremony dance party, and oh how lovely and beautiful the newlyweds looked! The Rowing Club had been decked out in handmade banners, jars of beautiful flowers and a whole gorgeous table of pies, squares, bars… and Coco Cake buttercream cakes! 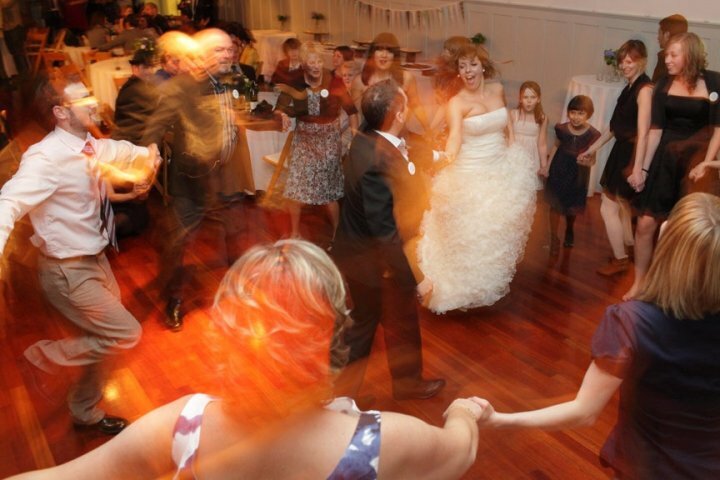 I think the last photo says it all – Bobbi and Scott surrounded by happy family and friends on the dance floor! Photo by the amazing Lori Kiessling. 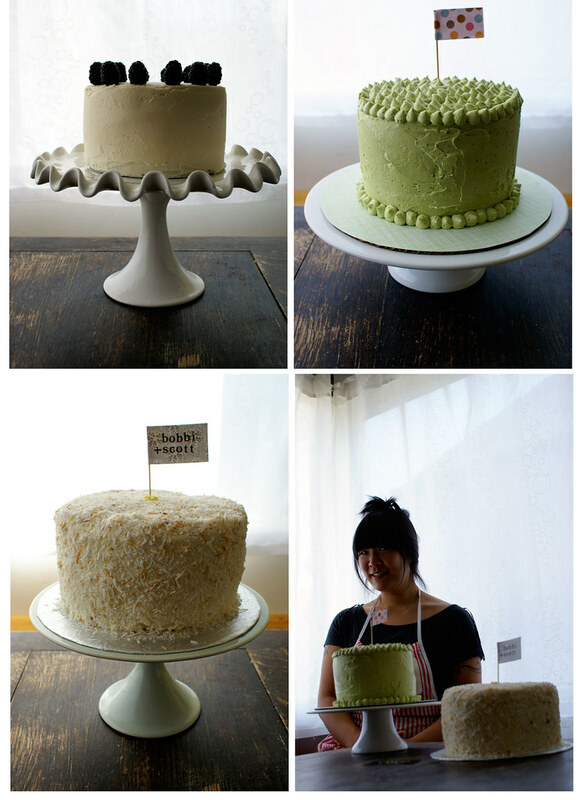 (See if you can spot Coco Cake sole proprietor L.K.Sung! heehee). A beautiful affair all around. Congratulations Bobbi and Scott! Here’s to all the happiness in the world!! I absolutely love what you do with cakes they are always so beautiful, I have shown all my friends in England her are interested in cakes your blog! They all look gorgeous and yummy! thanks poppy, i dig your blog too!